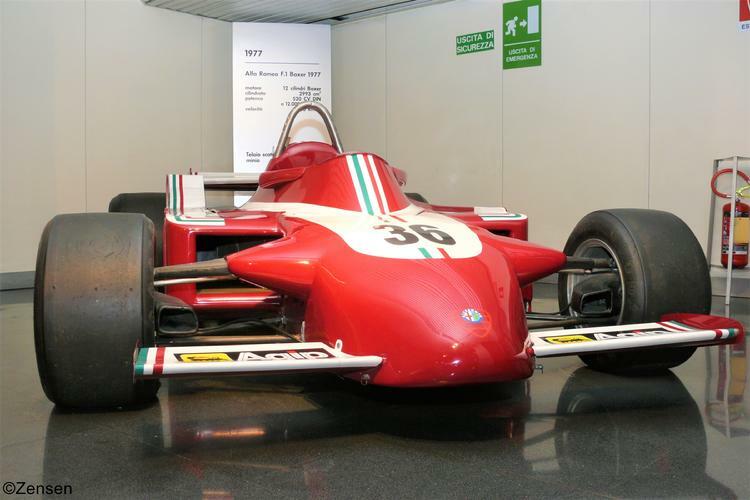 The year 1979 was the year of the Alfa Romeo comeback to Formula One racing as a team. We could have seen the Autodelta 3.0 litre V-8 engines in a McLaren in 1970 and in various March chassis in 1971. 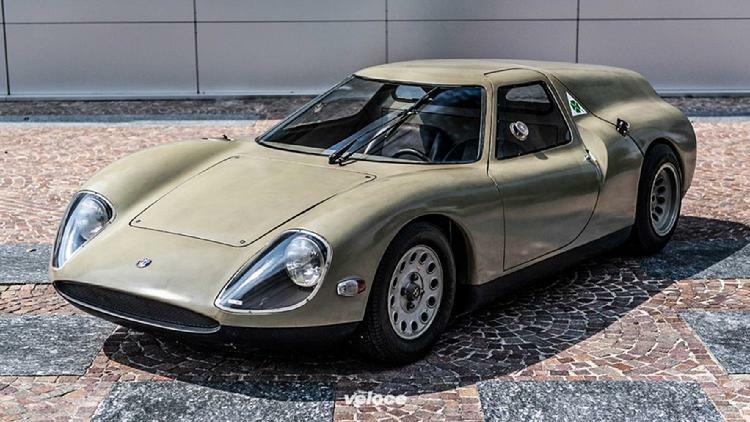 These were engines derived from the Alfa Romeo Tipo 33 sports car engines of these years. 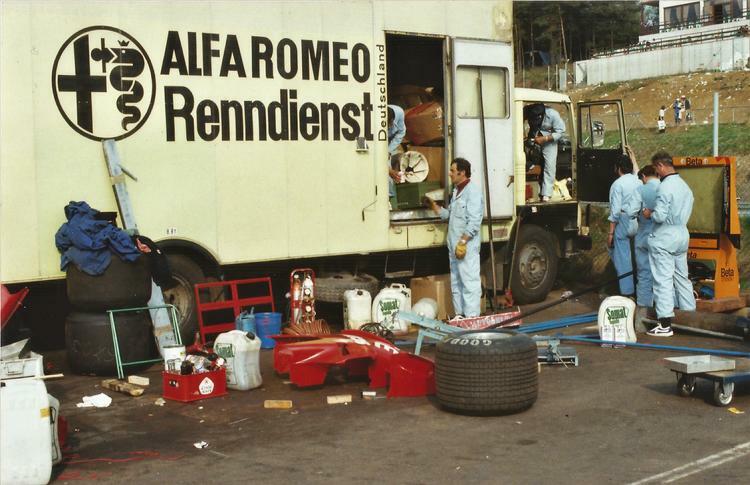 From 1973 onward Alfa Romeo, through its sporting arm Autodelta, started to build 12 cylinder flat 3.0 litre engines for their cars in the sports car world championship. These engines were powerful and attracted the attention of Bernie Ecclestone, always on the search for an advantage for his Brabham team over the Cosworth-powered opposition and Ferrari, the only other team with an 12 cylinder engine. The cooperation between Alfa Romeo and Brabham started in 1976 and ended in 1979 with an win for Niki Lauda in the Gran Premio Dino Ferrari at Imola on the 16th of September 1979. This was a non-championship race but most of the Formula One teams were entered. For the last two races of the Formula One season Brabham replaced its Alfa Romeo engines and in their place started with Cosworth powerplants. 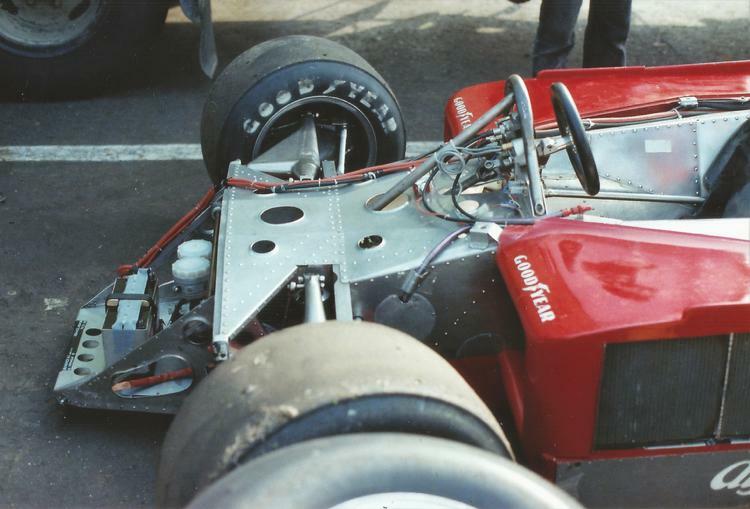 The reason for the split with Brabham was the appearance of the first Alfa Romeo Formula One car since 1951, the Alfa 177. The participation of Autodelta in sports car races ended in 1977 and Ing. 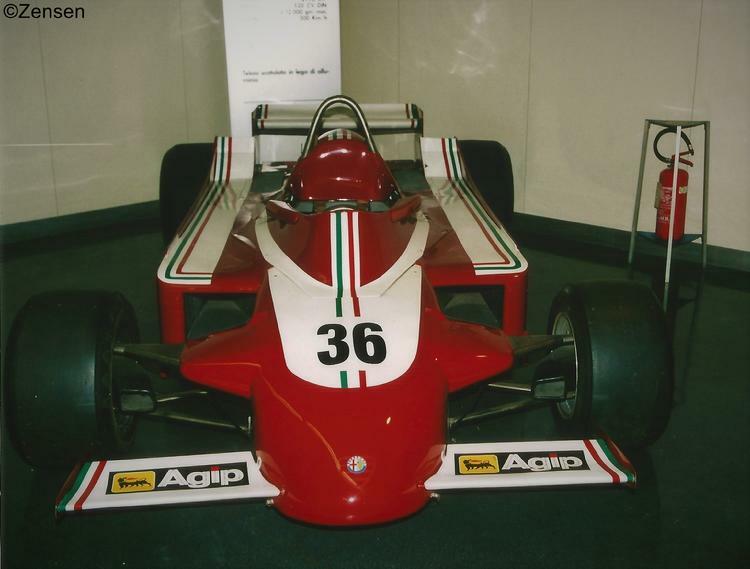 Carlo Chiti intensified his thoughts about a return of Alfa Romeo - Autodelta to Formula One racing as a team. We should not forget, however that Carlo Chiti had achieved great success in Formula One during his years with Ferrari. Winning the world championship with the Ferrari 156, well known as the "sharknose" Ferrari, was the work of Ing. Chiti. 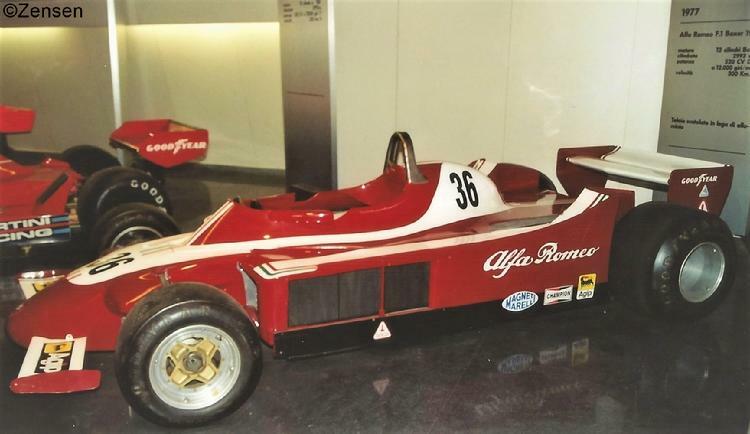 The first test chassis of an Alfa 'Alfa' was built and tested in 1978, the car was named F 177 and only one was chassis built. Testing was carried out mostly on the Alfa Romeo test track at Balocco, driven by Vittorio Brambilla, but Niki Lauda also did some tests. Spy pictures of the car appeared in the motoring press and showed an light blue car, the Autodelta color. The first quite surprising race event for the car was the Belgian Grand Prix on the Zolder (Belgium) race circuit on 13th of May 1979. Years before, I had the chance to see the Alfa Romeo March cars of Andrea de Adamich and Nanni Galli at the German Grand Prix 1971 and the Autodelta touring car squad at the Zandvoort European touring car championship race in 1972 but I never saw Autodelta cars at the sports car races and regret this up to this very day. But now comes Formula One. 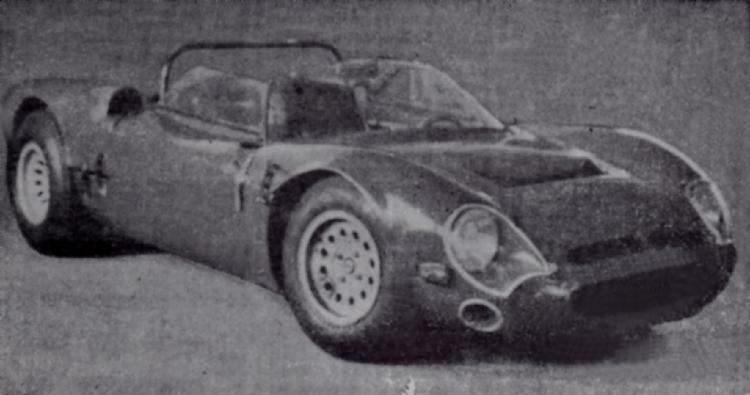 I had read rumours about an possible Alfa 'Alfa' start at Zolder in the British specialized press (I subscribed to Autosport and Motoring News during these years) but nothing was certain. I went to Zolder together with an friend... we used my friend's VW Beetle which had the ideal color to celebrate a possible return of Alfa Romeo Autodelta to Formula One...light blue. The race started and the Alfa 'Alfa' was there! The car was red, nearly without sponsorship. It looked quite large in comparison to the other cars but driven by the young Bruno Giacomelli it did well indeed. 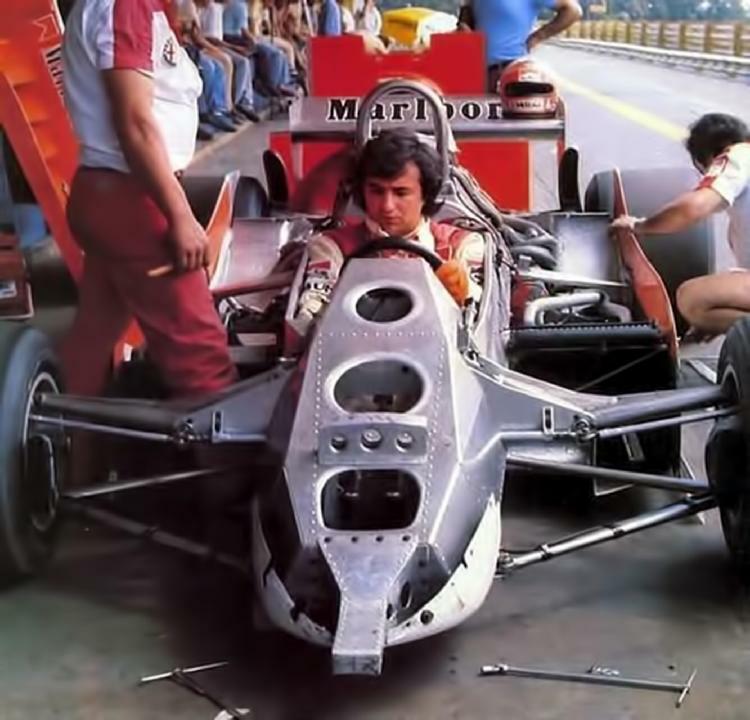 Giacomelli qualified on position 14, one place behind Niki Lauda in the Brabham Alfa Romeo. The race ended with an collision with Elio de Angelis in an Shadow Ford who missed his braking point and hit Giacomelli. The car was stranded very near to my viewing position where I could take my first pictures of the Alfa 177, although these were pictures of an damaged car. All the pictures are of quite modest quality, but it was the time of manual focus cameras and you never knew what you got on the film. 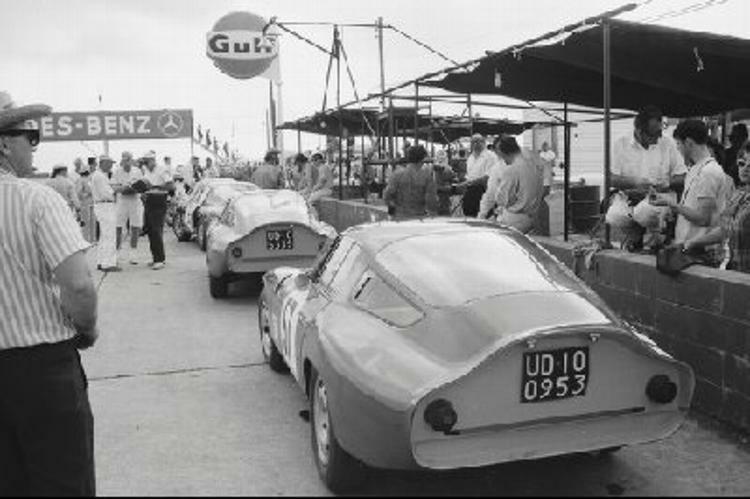 It was always possible at Zolder to enter the paddock after the race and watch the teams packing the equipment. 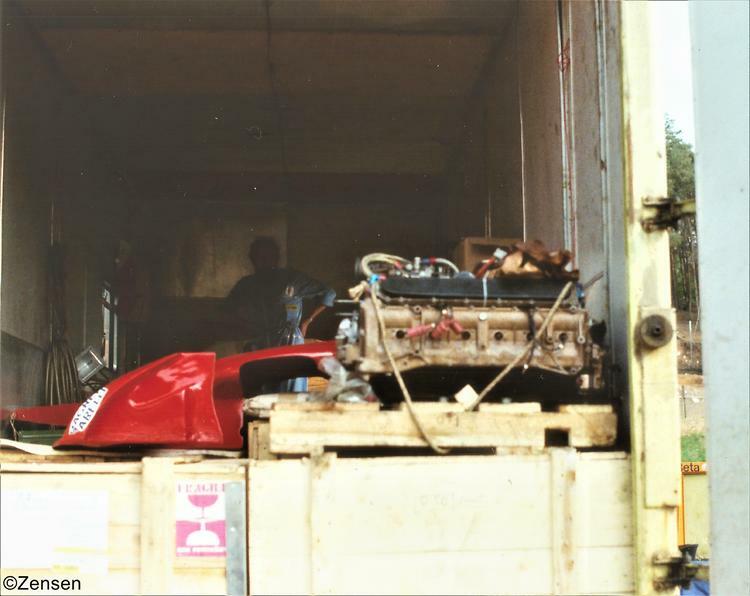 As I reached the position of the Alfa Romeo Autodelta team the biggest surprise was the transporter. It was the old heavy transporter of Alfa Romeo Deutschland that was being used, as the purpose build new Autodelta transporter was not ready as I learned from an Autodelta team member years later. Everything was a little bit on the unfinished side and it was clear to see that this entry was more of a test session than an planned race entry. But nevertheless I was enthusiastic to see the car and the team and it was a very special experience. Looking at the details of the car with it's thin aluminium panels made clear that the drivers of these cars were brave heroes. Years later I made my first visit to the Alfa Romeo museum in Arese. At this time the place was very difficult to find as there were no signs to show the way and the area was nearly abandoned. Once inside the museum, I was completely alone...no other visitors could be seen! I could walk around and look at all the wonderful machines. 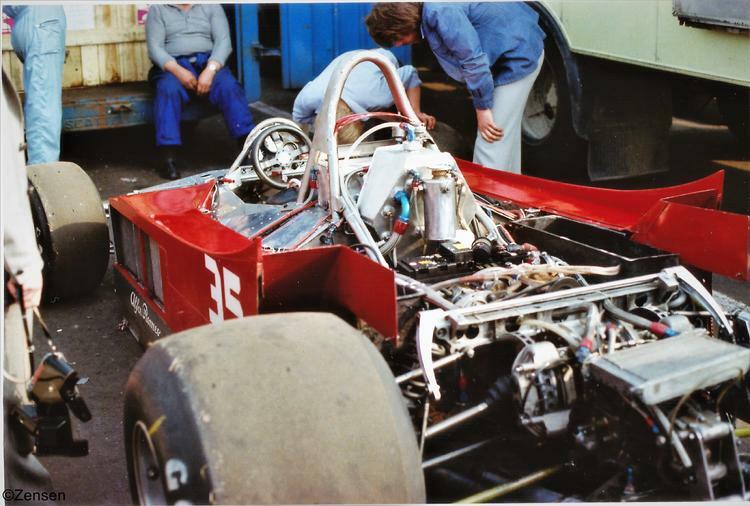 I came into the racing car department and in the most distant corner I recognized the car, I had seen years before... the Alfa Romeo Autodelta F 177-001...the first Alfa Romeo Autodelta Formula One chassis. It was slightly changed with an different nose cone and the color scheme of the Monza Grand Prix, but as I could lean into the car and check the chassis number shown in the cockpit, it really was AR 177-001! I had never heard anything about the car since 1979 and I was really overjoyed about the fact that this car was still in existance. ...and I am excited to visit chassis AR 177-001 again some day.